In my past life I did a fair amount of judo, which is a kind of wrestling sport. It is not a “martial art”. Martial means something like “appropriate for war;” judo was created as a sport from the start, but that’s a long story. 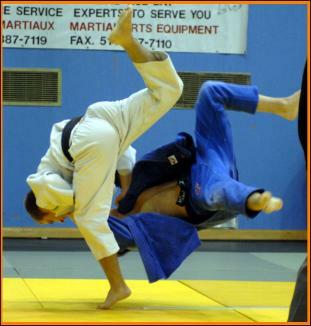 Now that I work as an LSAT prep instructor I’ve realized that LSAT prep and training for judo have a ton in common. Many people who do judo started out by learning a lot of things incorrectly. They then spend years trying to undo their awful habits, while someone who never developed these bad habits can surpass them very quickly. The same thing happens with the LSAT. For example, if you’ve been reading the stimulus first on Logical Reasoning questions, as, unfortunately, one of the leading LSAT prep self-study books recommends that you do, then you’re going to have a very hard time switching to the clearly better strategy of reading the prompt first. On the other hand, if you start by developing the correct habits right away, you will have a much easier time with the LSAT — or judo. So, get your LSAT coaching from the right place, and you won’t have to worry about bad habits. Jeremy, one of my friends and former teammates, is a judo genius. When Jeremy would compete people would say things like, “Oh you just can’t teach that”, and, “That Jeremy, he’s sure got lots of natural talent.” These people, for some reason, choose to ignore the fact that Jeremy trained under a World and Olympic medalist since he was 7, with other world-class athletes coming in and out of the club all the time. The same is true for the LSAT. I have another friend, let’s call him Homer. Homer never studied for the LSAT specifically, but he scored extremely well. People think he’s just naturally a genius. But I know better. Homer majored in philosophy, which is like majoring in the Logical Reasoning and Reading Comprehension sections of the LSAT. He’s also been on various debate teams for ages, and his parents ruined his childhood by making him solve logic games since he could read. The point is, often the skill people attribute to “natural talent” is really the product of a lot of perfect practice. If you’re not happy with your LSAT score, there’s plenty you can do about it. Judo players (yes, they’re called players) will compete in 50 to 100 matches a year. Everyone loses during the year. Everyone has an awful practice or two. Everyone get’s their posterior handed to them at one time or another. But, almost none of these setbacks really matter. There are a lot of tournaments, training camps, and other practices during the year, but your performance only matters at one big event per year. The same goes for the LSAT. Don’t let a few bad practice LSAT scores get you down. Practice LSAT scores don’t really matter; it’s all about the official LSAT. I think that the best LSAT students have something in common with the best judo players — they don’t let their setbacks get them down. They show up to the next practice and they keep working hard no matter how badly they were beaten the day before. Competition can make you extremely nervous, and nerves can make you physically ill. They can make you doubt yourself and, in short, ruin your big event. But one of the most comforting thoughts you can have in the hours before your competition is, “I’ve done everything I could to prepare for this.” If you can say this to yourself, and of course, if it’s true, the anxiety will just leave your body, and you’ll be ready to do your best. So, good luck to everyone studying for the October LSAT! And if you happen to be one of my students, I want you to know that I’ve already heard all the “judo chop” jokes. Excellent advice. As a former student of judo myself and preparing for the October LSAT, I could not agree more with you!